For those of us trained and working in the food industry, this is a reasonable definition, consistent with what we all work for every day. 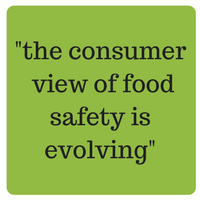 However, two recently published reports show that the consumer view of food safety is evolving. Both the Deloitte “Capitalizing on the Shifting Consumer Value Equation” report (a study done in collaboration with the FMI and the GMA in 2015), and the CSPI “Clean Labels” report published in 2017, show that consumers are rapidly developing a much broader definition. The key aspect of the USDA definition that consumers appear to be moving away from is how they are assessing the term “food safety” in general, broadening the traditional definition to include the presence of chemicals, artificial additives, and allergens, equating “quality” or “safety” with perceived health risk. There is no doubt that consumers are concerned about how complex ingredients and additives might adversely impact general health and wellness, and this concern is resulting in greater consumer demand for transparency throughout the supply chain. 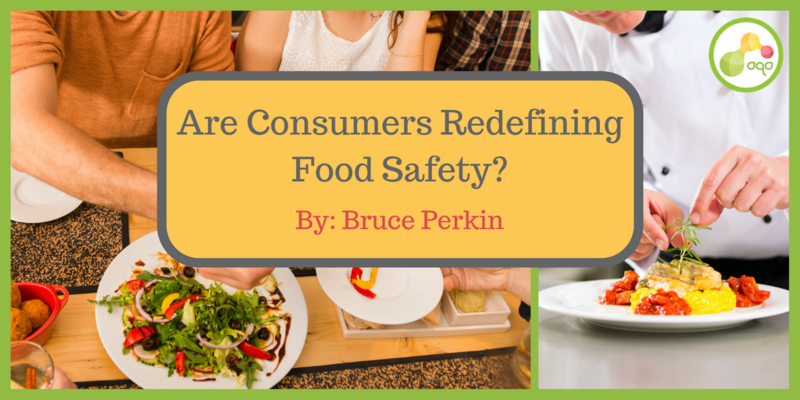 This has led to what was defined by Food Business News as the “Trend of the Year,” or the activity that everyone in the industry seems to be deeply engaged in, which is the removal of anything from the food that might appear to consumers as being artificial or chemical, no matter how safe those additives may have already been proven. The food industry has adopted the term “Clean Labels” to describe this activity, however, without an official definition of the term, there is wide spread confusion about what it means and how best to communicate the progress being made. This confusion is seen in the dramatically different ways food companies are responding to this trend, but is also seen with consumers as highlighted in the CSPI research. 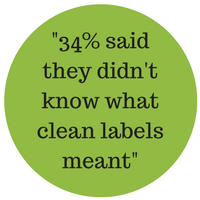 When consumers were asked what the term “clean label” meant to them, 36% said it was “free from artificial ingredients,” 24% said “free from allergens,” and 34% said they did not know what it meant. This confusion about a critical term such as “food safety” should be of significant concern for the industry as a whole. It comes at a time when we are seeing a dramatic increase in food safety related recalls, with over 650,000 pounds of products having been recalled in 2016 alone. What we also know is that consumers have little patience for those who get it wrong. We need look no further than the public relations embattled Chipotle for evidence of that. Where it gets particularly challenging is at the multi-unit restaurant end of the food industry. Once the restaurant businesses define how they will roll out Clean Label, they are then faced with the challenge of implementing that transparently up through their supply chain, a supply chain in which each producer has already taken a position on how they will interpret clean labels for themselves, and is already trying to accommodate the clean label requests from other customers with their own individual definitions. 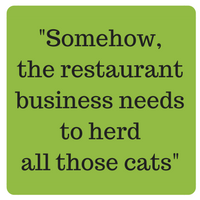 Somehow, the restaurant business needs to herd all those cats, and ensure that the suppliers of the sub-ingredients upstream of the direct suppliers are on-board as well. In the midst of all this, the old school definition of food safety prevails, and aberrations in compliance to those requirements are still killing around 3,000 Americans every year. Restaurants still represent well over half of those incidents, so this new definition makes the challenges for the restaurants even more complex. Behind every adverse quality or food safety event, there is a trail of data that shows exactly what went wrong, when, and why. The challenge is that for the average-sized restaurant business, the critical deviations are buried in over 150 million other data points annually - way too much for anyone to manage manually or even by spreadsheets. Thankfully, there is now a fully automated, cloud-based system to collect and evaluate all those data points on a real time basis that enables the proactive management of any food safety and food quality issue before it impacts consumers. This same system can also be used to establish full transparency up-stream throughout the supply chain to manage the journey to clean labels. With fully automated digital management of your quality and food safety systems, you can manage risk and reduce costs more efficiently than ever before. Why not let your data talk, so it works as hard and efficiently as you do?